At Croce’s Transmission Specialists in Norwalk, CT, our fleet program is exactly what your company needs to stay reliable and on the road. Business operations always run smoothly if you’re not worrying about your fleet’s condition. No business or organization can afford too much downtime for its fleet, so let us perform our clean and consistent fleet services. Our talented team will handle all maintenance service plans and schedules for your vehicles. Keeping your vehicles in heavy circulation increases profits and productivity. Our goal is to make sure you’re never surprised by inconvenient repair costs. Take better care of your fleet by putting it on track for top-notch driving conditions. Enjoy enhanced performance with our preventative maintenance services and thorough inspection services. Our ASE Certified techs consider the ages of your vehicles and its driving habits when designing any service plan. The key to your fleet’s longevity, efficiency, and peak performance is our quick but thorough auto services. Croce’s Transmission Specialists is a top quality fleet service provider handling every service aspect. Our team works hard to maintain your trust in our fleet services. We also stay current on all the latest diagnostic equipment and follow all manufacturer’s recommendations. All fleet services use state-of-the-art tools and equipment to continually diagnose, inspect, and service your fleet. 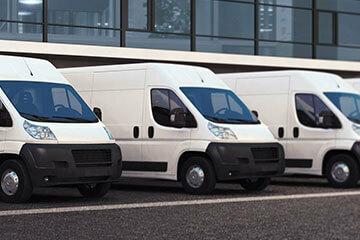 Our first priority is your fleet vehicles continued safe operation. Our second priority is to completely avoid any costly and unnecessary repairs. This ultimately saves you time and money and from expensive downtime. Our advanced diagnostic equipment helps us pinpoint any problem, repair it, and get you back on the road in no time. We’re able to keep your fleet in circulation and your vehicles on the road. Your fleet’s rotation will improve customer convenience with benefits like early / late drop-off and pick-up service. We give our customers status updates via phone, email, or text, as well as send maintenance reminders. Our fleet services make sure your vehicle’s never fall behind in performance and overall productivity. If you have any questions about our exceptional fleet services, please speak with one of our Croce’s staff. Give us a call today at 203-989-2525 to put your business fleet on a stress-free, hassle-free, money-saving service plan. You can go right ahead and schedule an appointment right now. Use our online scheduling system. At Croce’s Transmission Specialists we serve Individuals, Fleets, General Auto Repair Shops, Municipalities and Dealerships. Our team is looking forward to meeting all of your fleet service needs..